Looking for a basement waterproofing company in Dallas, TX? The Basement Kings not only serve Dallas, but all of Texas! Many basement waterproofing companies have one or two solutions that they sell to all their customers. Willie King Jr. literally wrote the book about basements and basement waterproofing. 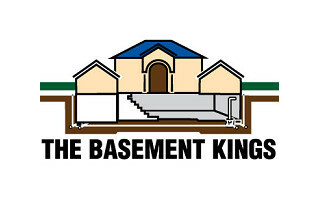 If you are tired of dealing with large pushy waterproofing companies, you might want to give The Basement Kings a try. When you hire Willie King Jr., you hire a real professional. Get a consultation. Fill out the form below! Finally, for the first time since May 2015 when our basement walls were damaged and cracked due to a storm and a lightening strike that caused a broken water pipe and severe flooding in our basement, our basement is now completely DRY! Thank you so much, Willie King for doing such an awesome and professional job in our basement. We are just sorry we didn’t find you sooner! My first encounter was by telephone with Willie King in response to an inquiry I left on The Basement Kings website. Willie seems very knowledgeable was most helpful – very willing to listen to my issues, answer my questions, and offer advise to help me solve my basement issues. He must have spent 30 minutes answering questions and offering solutions. I am pleased to have found this company. We’re second-generation concrete specialists informing Texans about the benefits of Repairing or building basements in Texas & O.K. We offer solutions to fixing any basement or crawlspace. We offer consults to help you decide how to build a basement. We offer consults to diagnose your basement leak any where in Texas. We now not only repair the basement but kill all the moisture and make it healthy again and offer lifetime warranty that it will never leak again. Wrote the 1st book on building basements in the U.S., and soon to release new books on how basements are built in diverse soils. We hope to change the way Texans build homes. Granted a certification from the Texas Real Estate Commission, we provide inspections and basement repair advice. We received our inspection training from Texas State University – San Marcos, Texas. A Better School of Building Inspection – Salt Lake City, Utah. Best Inspectors – Los Angeles, California.